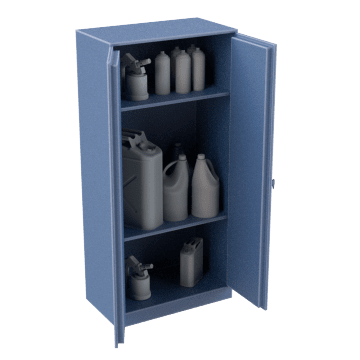 Secure corrosive materials in these safety cabinets to keep them protected from hazards and help contain spills that can contaminate the worksite. They also help prevent the contents from igniting in the event of a fire and have chemical-resistant coatings to protect surfaces from spills and leaks. Locking handles prevent unauthorized access. 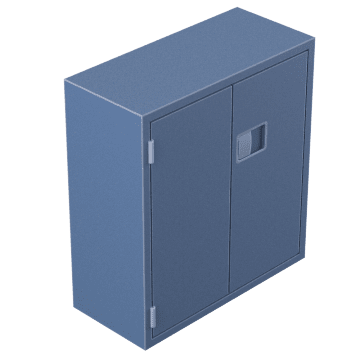 Large, freestanding storage cabinets can be placed near work spaces or wherever access to materials is needed. 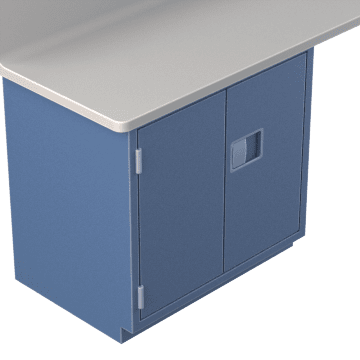 Place these small-capacity units on tabletops or workbenches for quick access to frequently used materials. Turn empty space under a counter or workbench into a storage cabinet with these units. They have an integrated toe kick that allows your feet to fit comfortably while standing in front of the cabinet. 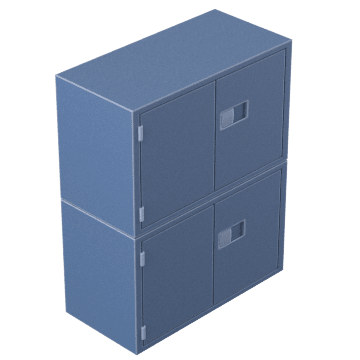 These units have less capacity than freestanding units and can be stacked to increase storage capacity without taking up additional floor space. 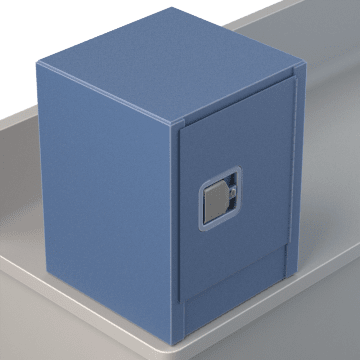 Stacked units can be locked individually to limit access to specific contents.